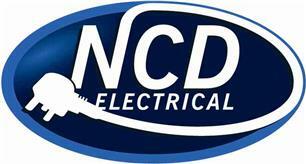 NCD Electrical (Dorset) Ltd - Electrician based in Poole, Dorset. NCD Electrical is a local family run company based in Poole, carrying out work in a large area of Dorset and the South Coast. Established since 2010, we have many satisfied and regular customers who we do work for on a regular basis and over 90% of all work is through recommendations! No job too small or big from the light switch replacement, PAT testing right through to the commercial refurbishment, all carried out with a hassle-free approach. Proud members of NAPIT Electrical (National Association of Professional Inspectors and Testers) and fully approved Part P installers, also you have peace of mind that all work carried out will be up to the latest standards of BS7671. Also you can have the convenience of paying with a debit or credit card to make life a bit easier (Mastercard, Visa). Commercial and industrial work is welcomed. Any high level work can be carried out without any issues as operatives are IPAF trained for scissor and boom lifts therefore taking the worry away from yourself the customer. Thermal imaging carried out on all EICR's (safety checks) and can be carried out for any use a customer has, please see evidence of this in use in our photos to see the dangers. For free quotations or advice, call us now for a friendly service you can rely on.